The African Women Chartered Accountants (AWCA) announced that Dr Nkosazana Dlamini-Zuma is the winner of the AWCA Woman of Substance Award 2016. The 12th ‘Woman of Substance’ Awards winner was unveiled at AWCA’s 12thAnnual Woman of Substance Fundraising Banquet, which was held at the Theatre on Track in Kyalami, Johannesburg. The annual ceremony sees a deserving woman receiving this prestigious accolade in recognition of outstanding achievements in their field of expertise. The Banquet was attended by previous winners, including the outgoing recipient of the Woman of Substance Award Advocate Thuli Madonsela. The Woman of Substance Award is given to an exceptional woman who has played a significant role in the uplifting of black women, and has demonstrated quality and successful leadership in areas of governance and business to realise gender parity. 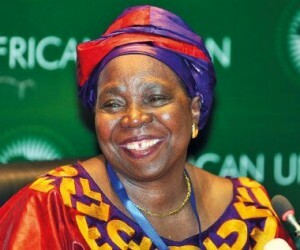 In her many roles in service for South Africa, Dr Nkosazana Dlamini-Zuma has more than earned her colours. She is currently the chairperson of the African Union Commission, a position which she will hold until January 2017. 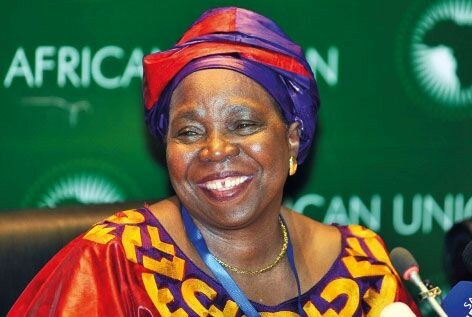 Dlamini-Zuma is the first female chairperson of the African Union, a post which she has held since 2012, prior to that she was the Minister of the Department of Home Affairs in South Africa. She is also a Member of the African National Congress National Executive Committee and National Working Committee, the African National Congress Women’s League National Executive Committee, and the National Progressive Women's Movement of South Africa. “We are excited to be acknowledging and celebrating milestones that women have achieved in the face of adversity. The 2016 recipient of the Woman of Substance Award is an undisputable trailblazer in the upliftment and empowerment of women across the African continent. Her career as a struggle activist and politician is testimony to her indestructible and courageous spirit,” says Lesego Sennelo, President of AWCA. “Since its inception, the Woman of Substance Award has been conferred to 11 powerful women who are business and social leaders engaged in business transformation, community development and nation building,” added Sennelo. In addition to the Woman of Substance award, the AWCA has a Bursary Fund that finances female students who aspire to become Chartered Accountants. The Bursary Fund, which was established in 2005, has thus far assisted 73 students. The aim of the AWCA Bursary Fund is to increase the number of black female chartered accountants in the country. Currently, there are over 4 700 female Chartered Accountants in South Africa, out of a total complement of over 3 9 000 Chartered Accountants.